In 2000, the CAP Council made a decision in to change the Sunday lecture given at its Annual Congress from a keynote lecture to a public lecture. The lecture was named the “Herzberg Memorial Public Lecture” in honour of Nobel Laureate Dr. Gerhard Herzberg, longstanding member of the CAP, in recognition of Dr. Herzberg’s known desire to increase the awareness and appreciation of science amongst the public, particularly youth. Support for the Herzberg lecturer is provided, in part, through a bequest from Dr. Herzberg. The inaugural lecture was held in the Unicentre Auditorium of the University of Victoria on Sunday, June 17, 2001, starting at 7:00 p.m. The lecture, entitled “Gravitational Waves: A New Window onto the Universe” was given by Dr. Kip Thorne of Caltech University. The detailed list of keynote lecturers (from most recent to earliest), their bios, as well as the abstracts of their talks, appears below. Science faces an accessibility challenge. Although information/knowledge is fast becoming available to everyone around the world, the experience of science is significantly limited. One approach to solving this challenge is to democratize access to scientific tools. Manu Prakash believes this can be achieved via “Frugal science”; a philosophy that inspires design, development, and deployment of ultra-affordable yet powerful scientific tools for the masses. Using examples from his own work (Foldscope: one-dollar origami microscope, Paperfuge: a twenty-cent high-speed centrifuge), Dr. Prakash will describe the process of identifying challenges, designing solutions, and deploying these tools globally to enable open ended scientific curiosity/inquiries in communities around the world. By connecting the dots between science education, global health and environmental monitoring, he will explore the role of “simple” tools in advancing access to better human and planetary health in a resource limited world. 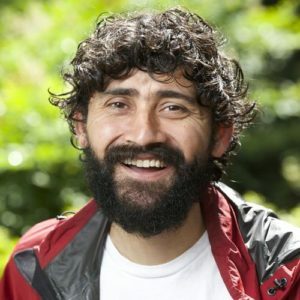 Manu Prakash is an associate Professor of Bioengineering at Stanford University working in the field of physical biology and frugal science. He combines his passion for basic science with development of affordable and accessible technologies that can be used for science education, research, and public health in resource poor settings with the goal of democratizing access to scientific tools. He is best known for developing the ultra-low-cost paper microscope Foldscope and Paperfuge, a 20-cent hand-powered centrifuge made of paper and string. He is a 2016 recipient of the MacArthur Fellowship, an HHMI-Gates Faculty Scholar, and in 2015 he received the National Geographic Emerging Explorer distinction and the NIH Director’s New Innovator Award, among many other recognitions. Manu Prakash received a B.Tech. (2002) from the Indian Institute of Technology Kanpur and a Ph.D. (2008) from the Massachusetts Institute of Technology. He was a junior fellow of the Harvard Society of Fellows (2008­–2011) prior to joining the faculty of Stanford University, where he is currently an assistant professor in the Department of Bioengineering, a member of the Biophysics Program in the School of Medicine and the Center for Innovation in Global Health, Faculty Fellow of Stanford ChEM-H, and an affiliate member of the Woods Institute for the Environment. He is currently a HHMI-Gates Faculty Fellow and a BioHub Investigator. He holds numerous patents and his research has been published widely. The recent announcements of the first ever detections of gravitational waves from colliding black holes and neutron stars have launched a new era of gravitational wave astrophysics. Gravitational waves were predicted by Einstein a hundred years earlier. I will describe the science, technology, and human story behind these discoveries that provide a completely new window into some of the most violent and warped events in the Universe. 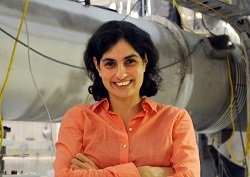 Nergis Mavalvala is a physicist whose research focuses on the detection of gravitational waves from violent events in the cosmos that warp and ripple the very fabric of spacetime. She was a member of the scientific team that announced the first direct detection of gravitational waves from colliding black holes using the Laser Interferometer Gravitational-wave Observatory (LIGO) detectors in February 2016. She received a B.A. from Wellesley College in 1990 and a Ph.D. from the Massachusetts Institute of Technology in 1997. She was a postdoctoral fellow and research scientist at the California Institute of Technology between 1997 and 2002. Since 2002, she has been on the Physics faculty at the Massachusetts Institute of Technology where she is now the Marble Professor of Physics, Associate Department Head of Physics and recipient of a 2010 MacArthur “genius” award. In her spare time, she loves to bicycle long distances, play sports, and hang out with her family. By going 2 km underground and creating an ultra-clean laboratory it is possible to address some very fundamental questions about our Universe: How does the Sun burn? ; What are the dark matter particles making up 27% of our Universe? ; What are the properties of neutrinos, elusive particles that are one of the fundamental building blocks of nature?. With the Sudbury Neutrino Observatory (SNO) we were able to observe new properties of neutrinos that go beyond the Standard Model of Elementary Particles and confirm that the models of how the Sun burns are very accurate. With the expanded laboratory SNOLAB we are welcoming the world in collaborative experiments that are looking for the properties of Dark Matter particles, seeking further properties of neutrinos and looking for neutrino signals from supernovae in our galaxy, from the Earth and from the Sun. The advantages created by the development of one of the lowest radioactivity laboratories in the world and the resulting fundamental science will be described. Arthur McDonald is a native of Sydney, N.S. Canada. He has degrees in physics from Dalhousie University (BSc, MSc) and Caltech (PhD) and nine honorary degrees. From 1969-1982 he was a Research Officer at AECL Chalk River Laboratories; 1982-1989, Professor at Princeton University; 1989-2013 Professor at Queen’s University, Kingston, Canada and 2013 became Professor Emeritus. Since 1989 he has been Director of the Sudbury Neutrino Observatory (SNO) Scientific Collaboration. Among many awards, he is a Companion of the Order of Canada; Co-recipient if the 2015 Nobel Prize in Physics and the 2007 Benjamin Franklin Medal in Physics; Co-recipient of the 2016 Breakthrough Prize in Fundamental Physics and the 2006 NSERC Polanyi Award with the SNO Collaboration. He continues to be active in basic research in Neutrinos and Dark Matter at the SNOLAB underground laboratory. He is a member of the Board of Directors of the Perimeter Institute. Victoria Kaspi is a Professor of Physics at McGill University, where she holds the Lorne Trottier Chair in Astrophysics and Cosmology, and a Canada Research Chair in Observational Astrophysics. She is also Director of the newly created McGill Space Institute. She received a B.Sc. (Honours) in Physics from McGill University in 1989, and an M.A. and Ph.D. in Physics from Princeton University in 1991 and 1993 respectively. From 1994-96, she held a Hubble Postdoctoral Fellowship at the Jet Propulsion Laboratory and California Institute of Technology. She was an Assistant Professor of Physics at the Massachusetts Institute of Technology from 1997-2000, and joined the McGill Department of Physics in 2000. Prof. Kaspi uses techniques of radio and X-ray astronomy to study rapidly rotating, highly magnetized neutron stars. She has done significant work involving radio pulsars and magnetars. More specifically, she has contributed among other things to the study of binary pulsar dynamics, the neutron star population, as well as the study of magnetars, the most highly magnetized objects known in the Universe. In this talk I will give a short introduction to some of the basic concepts of Einstein’s special theory of relativity, which is at the basis of all of modern physics. In particular, I will concentrate on the concept of causality, and why causality implies that nothing can travel faster than the speed of light in vacuum. I will later discuss some of the basic ideas behind Einstein’s other great theory, General Relativity, which is the modern theory of gravity and postulates that the geometry space-time is dynamic and the presence of large concentrations of mass and energy produce a “curvature” in space-time. I will then talk about how the curvature of space-time can be used in several ways to travel “faster than the speed of light” by distorting the geometry away from that of flat space. In particular, I will discuss the ideas behind the geometric model for a “warp drive”. Prof. Miguel Alcubierre was born in Mexico City in 1964. He obtained his Physicist degree from the National University in Mexico (UNAM) in 1988, and a PhD in Physics from the University of Wales in 1994. He later worked for several years as an Adjunct Professor at the Max Planck Institute for Gravitational Physics in Potsdam, Germany. Since 2002 he joined the Nuclear Sciences Institute at UNAM where he is now a Full Professor, and since June 2012 the Director. His research is in the area of numerical relativity, which is concerned with the computational simulation of astrophysical systems using Einstein’s theory of general relativity. In this area he has concentrated on the study of sources of gravitational waves, and particularly black hole collisions. He is author of more than 50 publications, as well as a textbook published by Oxford University Press. Where do we come from? What are we? Where are we going? The discovery of the Higgs Boson at the LHC provides new insights into these basic questions about the Universe, marking the start of a new era in fundamental physics, and opening new vistas in astrophysics and cosmology as well as particle physics. John Ellis currently holds the Clerk Maxwell Professorship of Theoretical Physics at King’s College in London. After his 1971 PhD from Cambridge University, he worked at SLAC, Caltech, and CERN (Geneva), where he was Theory Division Leader for six years. His research interests focus on the phenomenological aspects of elementary particle physics and its connections with astrophysics, cosmology and quantum gravity. Much of his work relates directly to interpreting results of searches for new particles. He was one of the first to study how the Higgs boson could be produced and discovered. He is currently very active in efforts to understand the Higgs particle discovered recently at CERN, as well as its implications for possible new physics such as dark matter and supersymmetry. He also studies possible future particle accelerators, such as the Compact Linear Collider (CLIC) and future circular colliders, is known for his relentless efforts to promote global collaboration in particle physics. John Ellis was awarded the Maxwell Medal (1982) and the Paul Dirac Prize (2005) by the Institute of Physics. He was elected Fellow of the Royal Society of London in 1985 and of the Institute of Physics in 1991, and is an Honorary Fellow of King’s College Cambridge and of King’s College London. We know since Einstein seminal paper of 1905 on the photoelectric effect that light, known since Maxwell to be an electromagnetic wave, is also made of discrete quanta, the photons. This strange wave-particle dualism has opened the way to the quantum theory and revolutionized physics. When they discussed among themselves the counter- intuitive quantum concepts, the fathers of the theory – Einstein, Bohr and Schrödinger among them – used to describe « thought experiments » in which they imagined that they freely manipulated photons, electrons or atoms and observed their weird behaviour. At the same time, they believed that these ideal experiments would be forever impossible to turn into actual ones in the laboratory. A major difficulty to realize these experiments with photons is that they are very fragile and elusive particles, usually destroyed upon detection. Technological advances have recently changed this state of affairs and made it possible to manipulate photons in ways which were previously thought impossible. I will describe this adventure and show how we have built a “photon box” in which we can count light quanta without destroying them, as we can do with marbles in a bag. We have also “tailored” the light trapped in the box and generated laboratory versions of the famous Schrödinger cat which the Austrian physicist imagined to be suspended between life and death. In our case, the “cat” is made of photons instead of atoms and it is maintained “half-way” between two states which classical physicists would consider to be incompatible. By studying this strange behaviour, we get a deeper knowledge about the quantum laws and we learn tricks that we hope to use one day for developing new technologies which could improve the precision of measurements, the secrecy of communications or the power of computer simulations. Dr. Serge Haroche is professor of quantum physics at the Collège de France and the Ecole Normale Supérieure de Paris. He is the recipient, with David Wineland, of the 2012 Nobel Prize in physics. In this presentation for the general public, Dr. Zeilinger will explain some of the fundamental issues in quantum mechanics and show how their application opens up new avenues to a completely novel future information technology. Among the fundamental concepts the randomness of individual events was rejected by Albert Einstein in his famous statement “God does not play dice”. The concept of quantum superposition implies that a system can be in states which classically exclude each other like the states “alive” and “dead” of Schrödinger’s famous cat. And the concept of entanglement implies that two or more systems can be separated over large distances and still form one unity. This was rejected by Einstein as “spooky action” at a distance. All these concepts lead to exciting and novel applications like quantum computation, quantum communication, quantum cryptography and quantum teleportation. In the talk, Zeilinger will sketch some of the most recent results in this extremely active world-wide research program and present his personal reasons why he believes that someday in the future, we will have absolutely secure communication and ultrafast computation based on these quantum phenomena. This development confirms once more that the most interesting possibilities for novel applications arise from deep fundamental investigations. Anton Zeilinger is professor of physics at the University of Vienna and director at the Institute of Quantum Optics and Quantum Information of the Austrian Academy of Sciences. His pioneering conceptual and experimental contributions to the foundations of quantum physics have become the cornerstone of the rapidly evolving field of quantum information. His future research goals include quantum communication and quantum teleportation using satellites and ultrafast optical quantum computers. The stages of his career include M.I.T., Collège de France, Technical University of Munich, and Oxford University. Among his prizes are the Inaugural Newton Medal of the U.K.
With the start of the Large Hadron Collider (LHC) at CERN, particle physics enters a new era. The LHC will provide a deeper understanding of the universe and the insights gained could change our view of the world. Dr. Heuer will explain some of the reasons for the excitement surrounding the LHC. The LHC is expected to yield insights into the origin of mass, the nature of dark matter and the existence of hidden extra dimensions. The talk will address the exciting physics prospects offered by the LHC, and present first results taken by the LHC since the start of data taking in March last year. CERN, located in Geneva Switzerland, is one of the world’s largest and most respected centres for scientific research. Prof. Heuer is widely recognized for his leadership in the development of experimental techniques, and the construction and running of large subatomic particle detector systems. In the early 1950s I thought and worked hard at trying to find a way to obtain an oscillator for frequencies higher than those available from known electronics, in order to do very high resolution spectroscopy. Finally, I suddenly had the idea to put enough excess atoms or molecules in an upper state, and provide stimulated emission. My student Jim Gordon and I made this work first in the microwave range, primarily as a test. The resulting maser (for microwave amplification by simulated emission of radiation) generated an exciting field and many people jumped into it to make microwave oscillators and amplifiers. But after a few years I pushed myself to move on to much shorter wavelengths. Arthur Schawlow and I then wrote a paper on how such stimulated emission oscillators could be produced at wavelengths as short as those of light – we called it an optical maser, but it soon was renamed the laser (light amplification by stimulated emission of radiation). After publication of our theoretical discussion, many scientists were excited and the first working system was made by Theodore Maiman at the Hughes Labs, a pulsed ruby laser. The first continuously oscillation system was made by one of my former students, Ali Javan, with Wm. Bennett and Don Herriot at the Bell Telephone Labs. Industry by then recognized the importance of this field, and all the first lasers were built in industrial labs. Lasers are now a wonderful field for science and for a wide variety of technical applications — all an outgrowth of spectroscopy, a field Herzberg helped develop importantly. I presently use lasers to do infrared interferometry on stars with three separate telescopes. Lasers have helped astronomy in many ways, in particular producing a rapid growth of interferometry for measurement of stellar sizes and shapes. Our interferometer is the only one, however, which uses heterodyne detection, provided by laser local oscillators, which hence allows interferometry in very narrow bandwidths which can avoid spectral lines due to surrounding gas. This allows measurement of old and active stars quite directly, without interference from their emitted gases. I will report some of the measurements, showing the changes in size of some stars, the dust shells they have blown off and expansion of these shells, along with other details not seen until such techniques became possible. Charles Hard Townes was born in Greenville, South Carolina and attended Furman University in Greenville, from which he received a B.Sc. in Physics and a B.A. in Modern Languages. He completed the Master of Arts degree in Physics at Duke University and then took his Ph.D. at the California Institute of Technology. He was a member of the technical staff of Bell Telephone Laboratories from 1933 to 1947. Appointed to Columbia University in 1948, he continued microwave research to study the structure of atoms, molecules and nuclei. In 1951, Dr. Townes conceived the idea of the maser and in early 1954, the first amplification and generation of electromagnetic waves by stimulated emission were obtained in ammonia. In 1958, Dr. Townes and his brother-in- law, Dr. A.L. Schawlow, showed theoretically that masers could be made to operate in the optical and infrared region. The first working laser was demonstrated (by Ted Maiman) in 1960. From 1959 to 1961, Dr. Townes served as Vice President and Director of Research of the Institute for Defense Analyses in Washington, D.C., advising the U.S. government. In 1961, Dr. Townes was appointed Provost and Professor of Physics at the Massachusetts Institute of Technology. He was appointed University Professor at the University of California in 1967, principally located at the Berkeley campus. He was co-recipient (with Drs. Basov and Prokhoroff) of the 1964 Nobel Prize in physics for the maser/laser principle. Dr. Townes has served on a number of scientific committees advising governmental agencies and has been active in professional societies. This includes being a member, and vice chairman, of the Science Advisory Committee to the President of the U.S. and Chairman of the Advisory Committee for the first human landing on the moon. He also served on the boards of General Motors and of the Perkins Elmer Corporations. The most massive stars in the universe are also the most fascinating. Exceedingly rare, they nevertheless play an important role in galactic ecology and in the chemical evolution of the cosmos. They are born in gigantic molecular clouds and they light up with an enormous outpouring of ultraviolet radiation. Pressure exerted by these forms of light on heavy elements present in the stellar atmosphere results in a very powerful wind which enriches the regions between the stars and injects large amounts of energy in their surroundings. The life of massive stars is brief – a hundredth of that of ordinary, sun-like stars – and ends in a gigantic explosion detectable to distances of billions of light-years. With the help of beautiful images obtained by the largest ground-based and space telescopes, I will describe the life and death of these stars which illuminate our universe. Laurent Drissen grew up between Montreal and the countryside of the Eastern Townships where he spent most of his week-ends and his summer vacations. Obviously, the country sky was lit up with stars, and it is there that his passion for the Galaxy and the cosmos was born. He obtained his Ph.D. (1990) from the Université de Montréal under the supervision of Prof. Anthony Moffat, one of the world experts on Wolf-Rayet stars. His first experiences as a professional astronomer were at the Mont Mégantic Observatory, then at the Canada-France- Hawaii telescope. He also observed at the AAT (Australia), the Wise Observatory (Israel), CTIO and ESO (Chile) and Mount Lemmon (Arizona). He then moved to Baltimore, Maryland, where he worked at the Space Telescope Science Institute in the early times of the Hubble Telescope (from 1990 to 1994). He came back to Québec in 1995 to work with the astrophysics group at Laval University. Since 2001, he has held the Canada research chair in astrophysics (massive stars and hyperspectral imagery) at the same university. He works on massive stars and their influence on their surroundings, and he also builds, in collaboration with his fantastic students, innovative astronomical instruments such as a wide-field imaging spectrometer. He teaches classical physics, quantum mechanics, stellar structure and evolution, and he supervises four graduate students. Information processing devices are pervasive in our society; from the 5 dollar watches to a multi-billion dollar satellite network. These devices have allowed the information revolution which is developing around us. It has transformed not only the way we communicate or entertain ourselves but also the way we do science and even the way we think. All this information is manipulated using the classical approximation to the laws of physics, but we know that there is a better approximation: the quantum mechanical laws. Would using quantum mechanics for information processing be an impediment or could it be an advantage? This is the fundamental question at the heart of quantum information processing (QIP). QIP is a young field with an incredible potential impact reaching from the way we understand fundamental physics to technological applications. I will give an introduction to quantum information by stressing recent interesting developments. I will also comment on the effort in this field at Waterloo and in Canada. Raymond Laflamme was born in Quebec city and did his undergraduate studies in Physics at Universite Laval. He then moved to Cambridge, England, where he survived Part IIIof Mathematical Tripos before doing a PhD in the Department of Applied Mathematics and Theoretical Physics (DAMTP) under the direction of Stephen Hawking. He and DonPage are responsible for having changed Hawking’s mind on the reversal of the direction of time in a contracting Universe (see his book “Abrief history of time”). After his PhD,Ray became a Killam post- doctoral fellow at UBC where he met his future wife Janice Gregson. Ray moved back to Cambridge in 1990 as a Research Fellow at Peterhouse.He finally settled down for 9 years at Los Alamos National Laboratory. He arrived as a Director funded post-doctoral fellow, became an Oppenheimer Fellow in 1994, just afterthe birth of his son Patrick. His daughter Jocelyne was born in 1995 and he became Technical Staff in 1997. In 2001 he joined the newly founded Perimeter Institute for TheoreticalPhysics and the University of Waterloo where he and Michele Mosca have started the Institute for Quantum Computing. Raymond Laflamme holds a Canada Research Chair (CRC) in Quantum Information. Guided by experimental tests of theory and practice, science has advanced rapidly in the past 500 years. Guided primarily by tradition and dogma, science education meanwhile has remained largely medieval. Research on how people learn is now revealing how many teachers badly misinterpret what students are thinking and learning from traditional science classes and exams. However, research is also providing insights on how to do much better. The combination of this research with modern information technology is setting the stage for a new approach that can provide the relevant and effective science education for all students that is needed for the 21st century. I will discuss the failures of traditional educational practices, even as used by “very good” teachers, and the successes of some new practices and technology that characterize this more effective approach. Some applications to technical presentations will also be mentioned. Carl Wieman grew up in the forests of Oregon and was educated at MIT and Stanford. Dr. Wieman, a long- term Distinguished Professor of Physics at the University of Colorado, joined UBC in January 2007. He has carried out research in a variety of areas of atomic physics and laser spectroscopy, and was awarded the Nobel Prize in Physics in 2001 for the creation and study of Bose-Einstein condensation in a dilute vapor. His work on innovations in teaching physics to a broad range of students, on student beliefs about physics, and on problem-solving skills has been recognized by several prestigious awards. Energy: Where on Earth are We Going? Physics is important in your everyday life. There is growing concern about humankind’s ever-increasing use of energy and the associated environmental impacts such as global warming. Oil is no longer cheap, and attention is now being paid to other sources of energy. This talk will consider the consumption of fossil fuels, as well as use of wind, solar and nuclear energy, and their environmental consequences. Many aspects of basic physics, important in the utilization of energy sources, will be discussed. Ernest L. McFarland is a Professor Physics, a recipient of the CAP Medal for Excellence in Undergraduate Teaching and a 3M Teaching Fellowship. Prof. McFarland has co-authored a textbook: Energy, Physics and the Environment which provides a foundational quantiative account of energy and related environmental issues. How has the most celebrated scientific theory of the 20th century held up under the exacting scrutiny of planetary probes, radio telescopes, and atomic clocks? After 100 years, was Einstein right? In this lecture, celebrating the 100th anniversary of Einstein’s “miracle year” and the World Year of Physics, we relate the story of testing relativity, from the 1919 measurements of the bending of light to the 1980s measurements of a decaying double-neutron-star system that reveal the action of gravity waves, to a 2004 space experiment to test whether spacetime “does the twist”. We will show how a revolution in astronomy and technology led to a renaissance of general relativity in the 1960s, and to a systematic program to try to verify its predictions. We will also demonstrate how relativity plays an important role in daily life. Clifford Will is Professor of Physics, and member of the McDonnell Center for the Space Sciences at Washington University in St.Louis. Born in Hamilton, Canada in 1946, he received a B.Sc. in Applied Mathematics and Theoretical Physics from McMaster University in 1968, and a Ph.D. in Physics from the California Institute of Technology in 1971. He was an Enrico Fermi Fellow at the University of Chicago (1972-74), and an Assistant Professor of Physics at Stanford University (1974-81), From 1975 to 1979, he was an Alfred P. Sloan Foundation Fellow. In 1981 he joined Washington University as Associate Professor, in 1985 became Full Professor of Physics, and from 1991 – 2002 served as Chairman of the Department. In 1986 he was selected by the American Association of Physics Teachers to be the 46th annual Richtmyer Memorial Lecturer. He was elected a Fellow of the American Physical Society in 1989 and of the American Academy of Arts and Sciences in 2001. In recognition of his theoretical work related to the Hulse-Taylor Binary Pulsar, he was an invited guest of the Nobel Foundation at the 1993 Nobel Prize Ceremonies honoring discoverers Joseph Taylor and Russell Hulse. During 1996-97, he was both a J. William Fulbright Fellow and a Guggenheim Foundation Fellow, and in 1996, he was named Distinguished Alumnus in the Sciences by McMaster University. In 2004 he received the Fellows Award of the St. Louis Academy of Sciences, and was elected President of the International Society on General Relativity and Gravitation. He has published over 160 scientific articles or abstracts, including 13 major review articles, 23 popular or semi-popular articles, and two books: Theory and Experiment in Gravitational Physics (Cambridge University Press, 1981; 2nd Edition, 1993), and Was Einstein Right? (Basic Books, 1986; 2nd Edition, 1993). Was Einstein Right? was selected one of the 200 best books of 1986 by the New York Times Book Review, and won the 1987 American Institute of Physics Science-Writing Award in Physics and Astronomy. It has been translated into French, German, Japanese, Italian, Spanish, Portuguese, Korean, Greek, Chinese and Persian. His research interests include tests of general relativity, gravitational radiation, black holes, cosmology, and the physics of curved spacetime. Some of the astronomical images I will present are meant to illustrate what we know about the large-scale nature of the world around us and how we have gone about discovering it; others are chosen just because they’re pretty. Some of the images are close to what you can see with a pair of binoculars; others are numerical representations of what you would `see’ if you had Superman’s X-ray eyes, or eyes sensitive to radio waves or neutrinos. I’ll show historical examples of the learning process in astronomy, both good — Hubble’s classification of the galaxies B and not so good — Lowell’s idea that he was seeing canals on Mars — and illustrations drawn from current debates about what is happening on scales ranging from black holes in the centers of galaxies to the expansion of the universe. The exploration of space is more than a scientific endeavour, although science and physics, in particular, are at the root of it. Any modern technically developed society needs for its own health to look outwards and also backward to its origins. Space science does these tasks in the grandest ways, looking outwards to its limits of the ability to see and to measure, and backwards to whence our galaxy, our planet, indeed ourselves came. Such themes will be explored, using Europe’s space programme for illustration. Professor Southwood took up post as Director of Science at the European Space Agency (ESA) on May 1, 2001. From 1997 to 2000, he was head of Earth Observation strategy at the European Space Agency where he introduced a new programme in Earth science, “The Living Planet”. After his going back to academia in April 2000, his return to ESA to lead the space science programme was announced in late 2000. David Southwood is a space physicist who spent the bulk of his career at the Blackett Laboratory, the Physics Department of Imperial College London. He went to Imperial first as a PhD student in 1966. After postdoctoral work in the USA, in the Institute of Geophysics and Planetary Physics at the University of California Los Angeles, he returned to the Imperial College faculty in 1971 eventually becoming head of the Blackett Laboratory, the Physics Department of Imperial College from 1994-1997. He has retained for many years links with UCLA and returned there as a Regents Professor in 2000. He completed a thesis on ULF waves in the Earth’s magnetosphere, using both ground-based and early satellite data. Subsequent research interests ranged from the deployment of magnetometer arrays on the ground to exploring the magnetic environments of Jupiter and Saturn with spacecraft. He has worked on a variety of space missions over the past thirty-five years, working with the American and Russian programmes as well as with European partners. His most recent instrumental work was building the magnetometer on the NASA Cassini Saturn orbiter, with has now passed Jupiter and will reach Saturn in 2004. David Southwood has sat on many senior science committees in Britain and at the international level in Europe and in COSPAR. He has been chairman of the Science Programme Committee (SPC) and the Space Science Advisory Committee (SSAC). He has published more than 200 publications and scientific articles. At temperatures under one millionth of a degree from absolute zero, a dilute vapour of ultra-cold atoms may undergo Bose-Einstein condensation. The resulting substance is an ideal environment for a host of experiments in quantum mechanics at the interface between condensed-matter and atomic physics. I will present a representative sample of past and current work. Eric Cornell received his B.S. from Stanford University in 1985, and his PhD from MIT in 1990. His doctoral research, with Dave Pritchard, was on precision mass spectroscopy of single trapped molecular ions. Cornell went to JILA in Boulder, Colorado in 1990. Since 1992 he has been a senior scientist with the National Institute of Standards and Technology. He is a Fellow of JILA and Professor Adjoint in the Physics Department of the University of Colorado. Research interests center around various aspects of ultracold atoms, including BoseEinstein condensation and experiments on atoms guided by optical forces inside hollow glass fibers and by magnetic forces along lithographically patterned wires. Cornell received the Stratton Award from NIST in 1995, the Carl Zeiss Award in 1996, the Fritz London Prize in 1996, the Presidential Early Career Award for Scientists and Engineers in 1996, the 1997 I.I. Rabi Award, the 1997 King Faisal International Prize for Science, the 1995-96 AAAS Newcomb- Cleveland Prize, the 1997 Alan T. Waterman Award, the Lorentz Medal in 1998, in 1999 the R. W. Wood Prize and the Benjamin Franklin Medal in Physics, and in 2000 was elected as a Fellow of the Optical Society of America and a Member of the National Academy of Sciences. He shares the 2001 Nobel Prize in Physics with Carl Wieman and Wolfgang Ketterle. Gravitational waves are ripples of warpage in the fabric of spacetime, generated by the birth of the universe, by collisions of black holes, and by other cataclysmic events in the distant universe. Next year an international network of ground-based detectors (LIGO, VIRGO, GEO and TAMA) will begin a search for gravitational waves with wavelengths about the size of the Earth. In 2010, the joint US/European LISA mission (three spacecraft 5 million kilometers apart that track each other with laser beams) will begin a search for gravitational waves with wavelengths the size of the solar system. In this lecture Thorne will describe these gravitational-wave detectors, the remarkable technology that they rely on (such as controlling the quantum mechanical behavior of 40 kilogram objects), and the revolution that they may bring in our understanding of the universe. Kip Thorne received his B.S. degree from Caltech in 1962 and his Ph.D. from Princeton University in 1965. He returned to Caltech as an Associate Professor in 1967 and become Professor of Theoretical Physics in 1970, The William R. Kenan, Jr. Professor in 1981, and The Feynman Professor of Theoretical Physics in 1991. He was cofounder (with R. Weiss and R.W.P. Drever) of the LIGO (laser Interferometer Gravitational Wave Observatory) Project and is a member of the LISA (Laser Interferometer Space Antenna) International Science Team. Along with other numerous awards and recognition, Dr. Thorne has been a Woodrow Wilson Fellow, a Danforth Foundation Fellow, a Fulbright Fellow, and a Guggenheim Fellow, and has served on the International Committee on General Relativity and Gravitation, the Committee on US-USSR Cooperation in Physics, and the National Academy of Science’s Space Science Board. A best-selling health guru insists that his brand of spiritual healing is firmly grounded in quantum theory: half the population believes Earth is being visited by space aliens who have mastered faster-than-light travel, and educated people are wearing magnets in their shoes to draw energy from the Earth. Did we set the public up for this? In our eagerness to hare speculative new ideas at the frontier of science, have we conveyed the message that the universe is so strange that anything is possible? What can we tell people that will help them judge which claims are science and which are voodoo? All science and technology we use today, with the exception of mathematics, was developed within the last thousand years. Our knowledge grew out of the Dark Ages and reached the moon and beyond. The second millennium will be looked upon by future generations as the age of the discoveries, where we explored planet Earth, saw it in its true context, and found more invisible worlds within the microscopic universes of the cell and the atom. Now, on the verge of the third millennium we are entering a new age where the most powerful tools ever developed are changing the face of the planet and the very foundation of life itself. As a journalist, it has been my extreme pleasure to witness some of these amazing discoveries and meet the astonishing people who have brought us to the greatest enlightenment humanity has every known. It is also a time of tremendous challenge to the survival of the human species, but as I am a believer in the power of scientific knowledge and the ingenuity of human tool making, we have the ability to meet those challenges, if only common sense prevails. A brief history of the laser cooling and trapping of atoms will be presented, covering some of the major techniques that have been developed over the past 15 years. The cooling and trapping technology is already being applied in numerous areas of science and engineering. Applications to be discussed include atomic clocks, atom interferometers used to measure fundamental constants and inertial sensors, and applications in polymer science and biology. No abstract was available for this talk. In 1945, quantum mechanics was twenty years old. Physicists were aware of it, but most engineers were not, and few of them actually used it. Nuclear physics appeared to be the most important frontier, partly because it seemed to offer the possibilities of limitless, cheap energy. Atomic physics, especially optical spectroscopy, was widely thought to be unglamorous. Most research equipment was constructed by the scientists themselves as they needed it. However, the wartime achievements of physicists attracted increasing support from governments and industry, and that stimulated the growth of an instrument industry producing increasingly sophisticated devices. Discoveries in condensed matter physics such as nuclear magnetic resonance, transistors, integrated circuits and lasers have opened up vast industries and provided powerful new tools for physics research. Huge teams have been assembled to build and attend giant machines for particle physics, nuclear fusion research and astronomy. Now faced with competitive pressures, industry has drastically reduced basic research and governments have cut back their support. Fascinating problems still confront us, even to understand the full meaning of quantum mechanics. Progress with continue, but it will be slowed in ways that we may not fully realize. After more than half a century of remarkable discoveries, applications and new insights on the structure of the universe and our place in it, physics and physicists, world wide, are facing a crisis of confidence. At a time when celebration would seem appropriate, instead a siege mentality is settling in. But there are reasons for optimism. Physics, at least, is becoming truly international: beyond the discoveries within our field, it is spawning an accelerating flow of new technologies and new understanding in our sister sciences – all of which improve our quality of life and our understanding of, utilization of, and accommodation to nature. As we prepare to enter the 21st century, it is essential that physicists, both young and old, regain the breadth of vision and of interest that characterized the giants of our past. There is great adventure ahead. Overall Issues for Educational Reform in the U.S.
• Should there be a single reform process that does not overwhelm teachers and schools? • How does one ensure maximum feedback to individual students practising higher order skills in a large class? • Should students be given more responsibility for their own learning in and out of class? • There is a lot of design work in teaching, from preparation of materials and software to scheduling of students and teachers to planning of classroom organization. Can a technical assistance framework be established which offloads this design burden from individual teachers and schools but, through constant redesign, supplies teachers and students with designs maximally beneficial to them? • How does one engage broad political support for the overall reform that is needed? • What changes in research universities are needed to support reform of schools? • How does one achieve unbiased evaluation of educational programs and the overall progress of reform? No abstract available for this talk.